This sounds wonderful, but what are the time commitments? My family is already involved in so many different things. One of the attractive aspects of Domestic Church is that couples only meet with their circles once a month. The real work is done in your home with your spouse and family. Meetings don&apos;t get us closer to God and one another; prayer, intentional use of our time, and the grace and mercy of God are what make the difference! We make progress in the spiritual life and in living the graces of the Sacrament of Marriage by practicing the commitments. The meetings give us accountability and support for this. The only other time commitment is the yearly retreat, usually held during the summer, and usually the whole family attends. There are often community gatherings for the sake of fellowship and information; these are not obligatory, but they are wonderful! 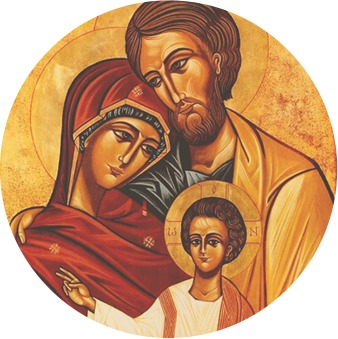 How does a couple take advantage of Domestic Church formation? How do you start? The normal way a couple starts is by attending an Evangelization Retreat. That&apos;s the first step. It&apos;s a four day retreat (from Thursday evening to Sunday at noon), and the dates and locations of our retreats can be found on the Retreats page. But, if you have a good sized group of couples who wants to get started, a retreat can be planned in your area. Contact us using the form to the left to get more information about putting on a retreat in your area! At what age are we too old, or too young, to join Domestic Church? There are no age restrictions, and we have found that couples of all ages are deeply affected and grateful for the gifts received through Domestic Church formation. We have newlyweds in their early 20&apos;s on up to couples in their 70&apos;s and everything in between. There are couples with young children, those with children out of the home, and those with no children. The circles are usually a mixture of all of these, and that mixture has been an awesome gift for all involved. Getting a priest to commit to joining a circle seems like it would be difficult. Is it really possible to have a priest in every circle? We have found that once priests see what Domestic Church is about, and that their role is one of presence and fatherly guidance rather than full-on leadership, it becomes much more attractive. Their testimonies have given indication that they really enjoy the circle meetings because they don&apos;t have to prepare anything, they get deep insight into marriage and the spiritual growth of families that they wouldn&apos;t otherwise get, and they quickly experience a deep closeness with the couples in their circle.